During any unit on space in elementary school, there's always a section on Earth's moon, and the biggest lesson for students to learn is about the moon's phases. Once you explain to students that the moon is actually reflecting the sun's light as it rotates around Earth, students have a basic understanding of why the moon looks different throughout the month. To explore this concept further, you can teach about moon phases with these activities below. One of the most popular activities is to have students draw the moon on different nights throughout the month. They are basically recording the moon phases, as they observe them in a moon journal. This can often be a difficult assignment since it's cloudy, and students can't always see the moon. But generally, it is one that students enjoy. To extend this popular activity and to get practice using the Internet for research skills, ask students to find photos of the moon phases they drew on the Internet. So, for example, if students drew a full moon as part of their project, they can go to www.flickr.com, go to the Creative Commons section, and search for moon phases. Several photos come up for a full moon. They can easily download a photo, print it out or save it to a Power Point presentation, and then search for another moon phase photo of a half moon, for example. Students can present these photos with their journals. They can create a moon phase book with the photos or even present them in class if they choose to do a Power Point presentation. 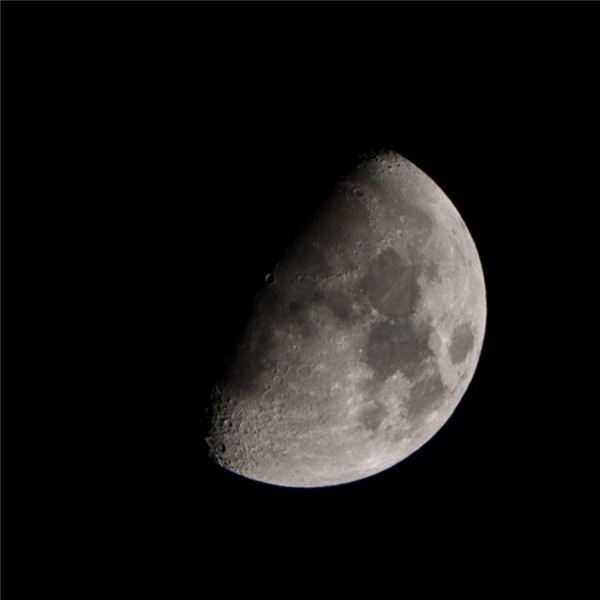 In this activity, a group of students will work together to create a moon phase poster. Each student in the group will have a specific job, and each student will also need to draw/paint/color one of the moon phases. Group size can vary depending on the number of students you have in your class and how many groups you want to manage, but a good number in each group is four. 1. Divide students into groups of four, if possible. 2. Explain to students that each student in the group will have a role. There will need to be a leader, a secretary, a reporter, and a timekeeper. If students have more than four in each group, you can have two timekeepers or two reporters. The leader's job is to keep everyone on task and the assignment moving forward. The secretary writes down anything that needs to be recorded. The reporter shares the group's project and any findings with the class. The timekeeper makes sure they don't run out of time before getting their project completed. 4. When students finish, they present their projects to the class. You can also display them in the room. When you teach about the moon phases with these activities, it is fun to have students act out how the moon rotates around Earth, while the Earth rotates around the sun. It's hard for students to get the timing EXACTLY right to show the moon phases throughout the month, but this will give students a basic understanding of what moves in space, what doesn't, and how the moon gets light. This activity is best done in a gym with the lights out. Place six students (you can use eight students if you want), shoulder to shoulder, with their backs to each other. Each student has a flashlight. Another student is the earth. This student is going to orbit the sun while also turning slowing in circles to show the Earth revolving and rotating at the same time. Then one more student is going to act as the moon. This student should revolve around Earth as he/she is revolving around the sun. Students will see how the sun's rays hit the Earth and moon at different points throughout the revolutions, and how the Earth and moon have no light of their own. This is also a fun activity and takes quite a bit of coordination on the part of the children playing the Earth and the moon. Students should get a chance to participate in the role playing and observe in order for the activity to be the most meaningful for them. With any science concept, children learn best if there are a variety of activities that use different learning styles and senses. Try more than one of these activities with students, so they get moving and get creating, while learning the phases of the moon.